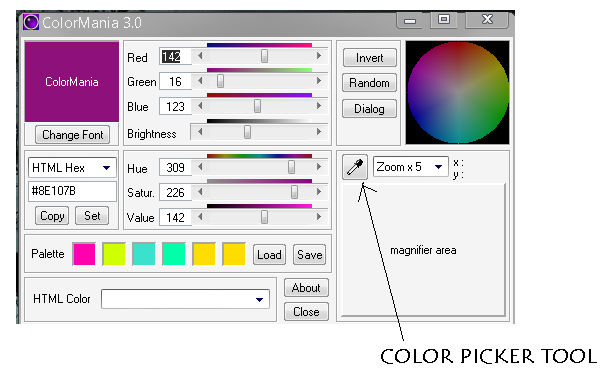 Color Mania is very special and useful software. 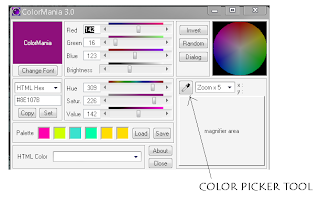 We see many new colors on web-pages images and games but if we want that color we should know the color code also.We can apply that color in coding by using there codes.This software proves very useful. It has a color picker by selecting that we can pick color and its code very easily.We can also select new colors as well.